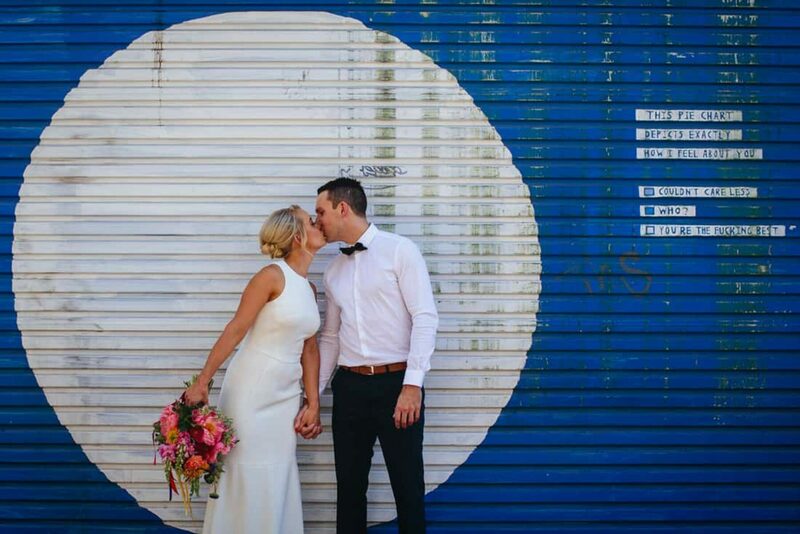 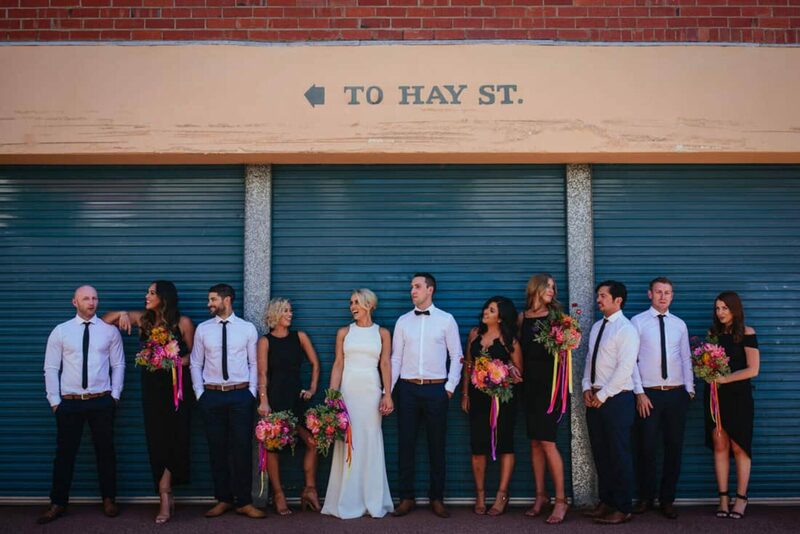 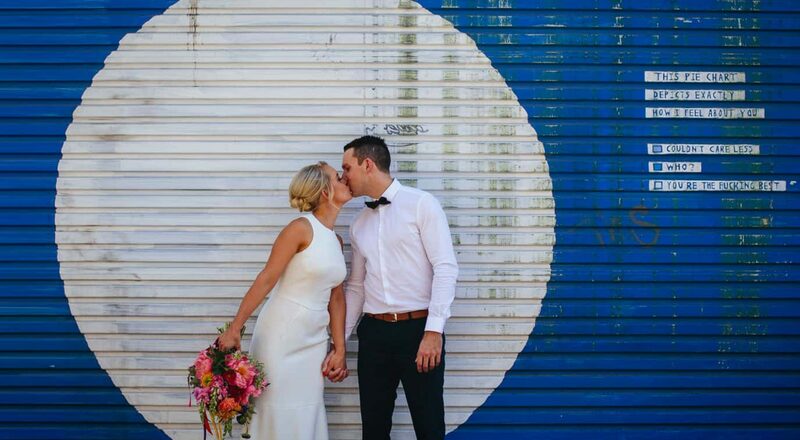 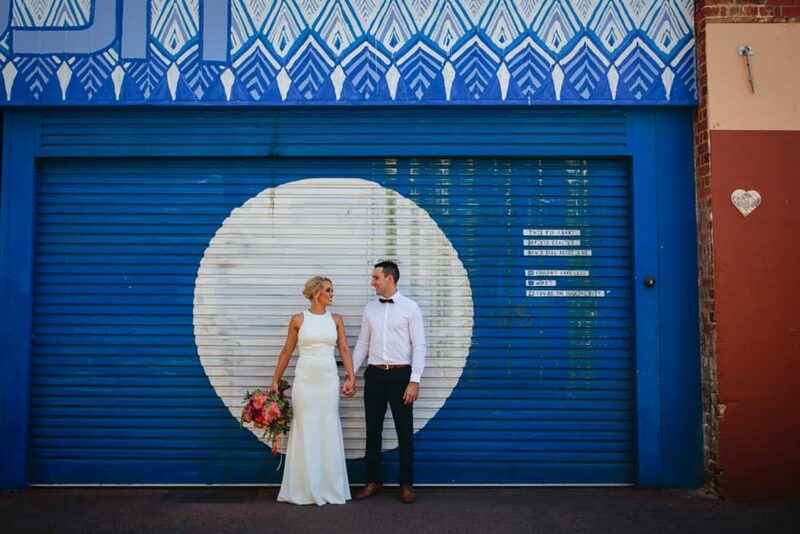 Nikki and Stephen’s relaxed Fremantle wedding captured by Merge Photography was beaming with colour and personality. 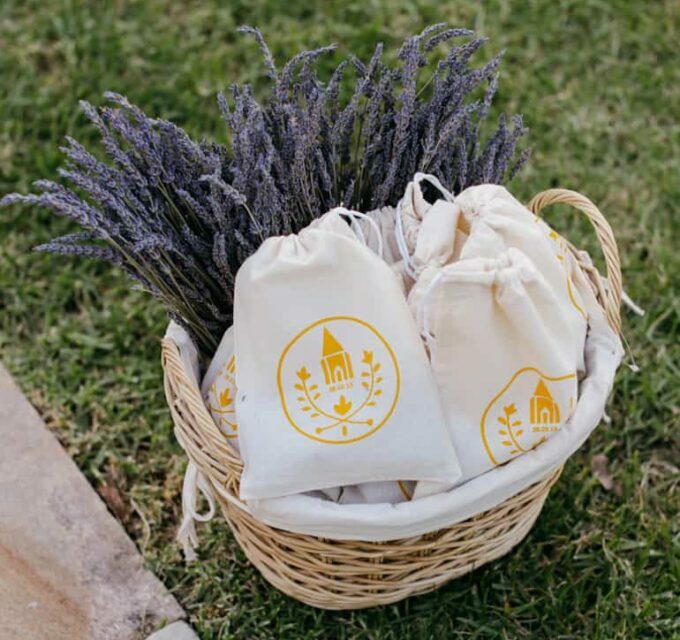 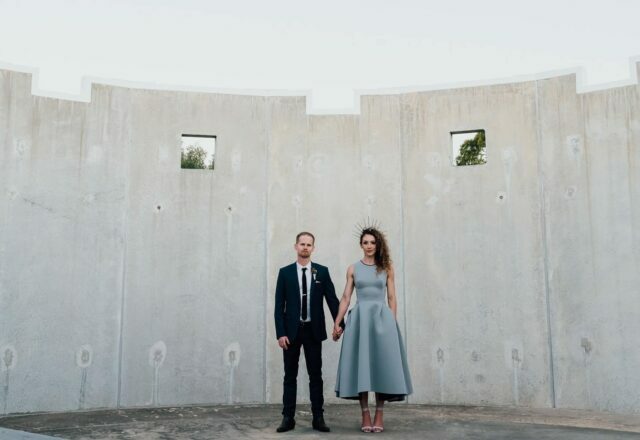 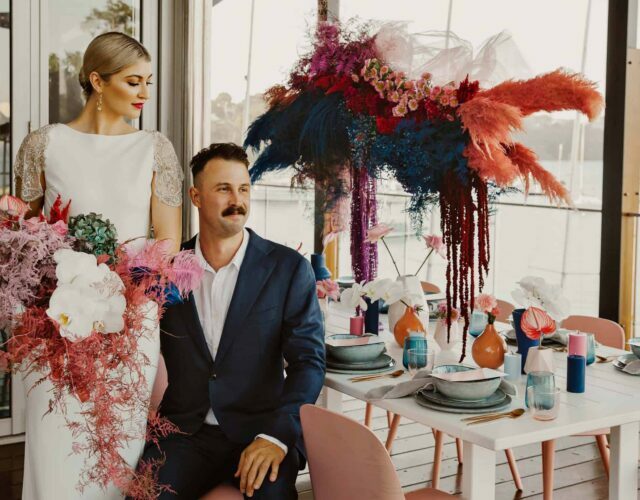 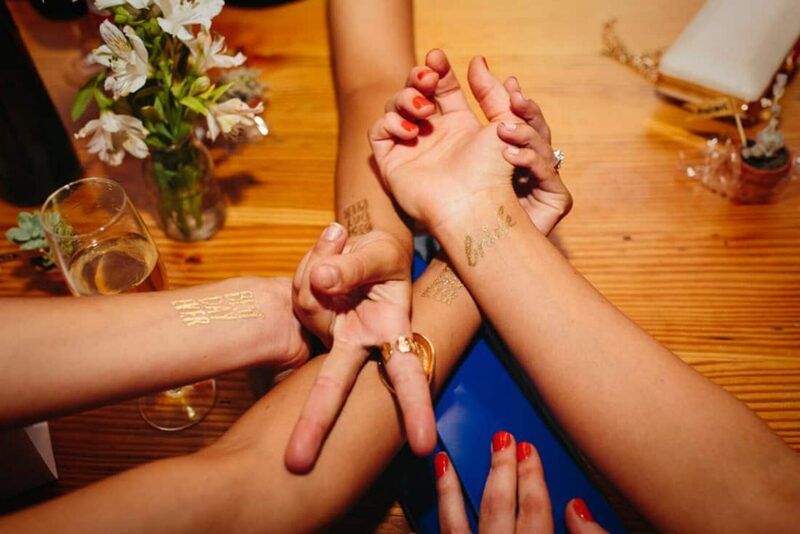 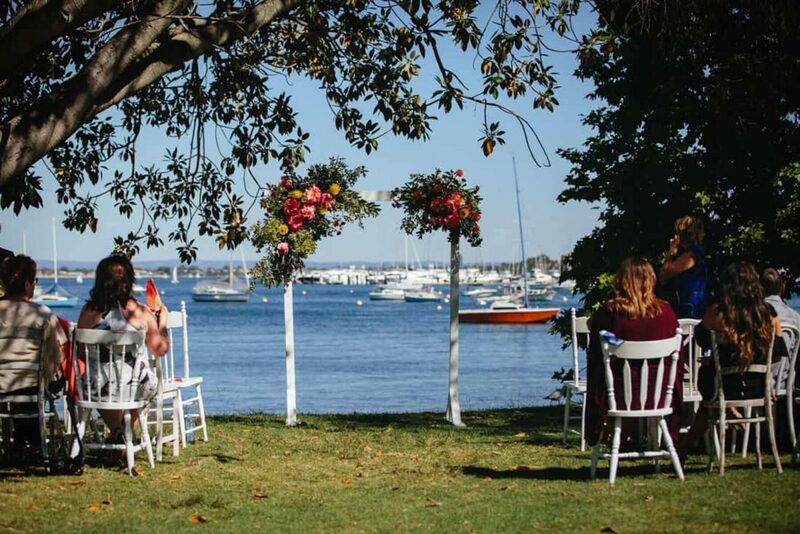 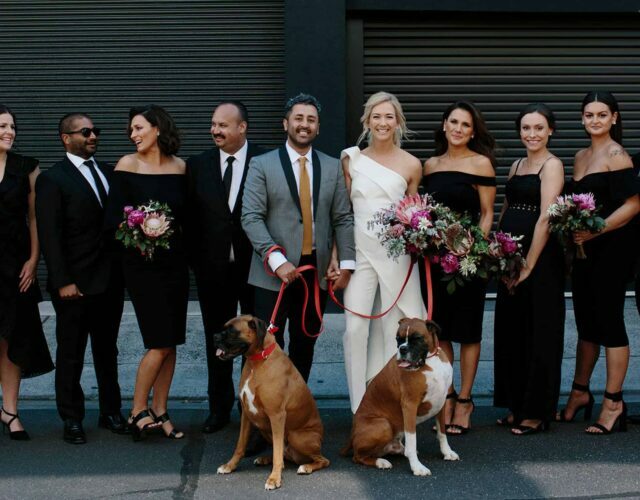 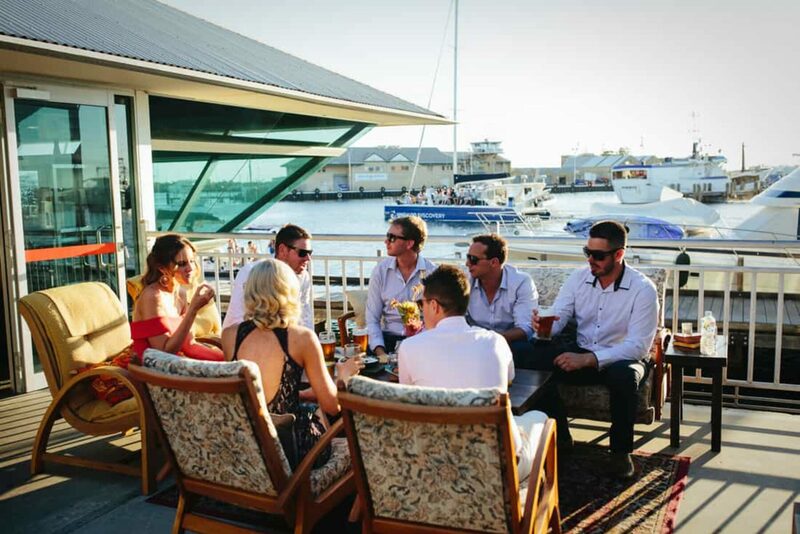 “We wanted it to be informal, fun and not feel like a wedding at all, but more like a party,” tell the pair, who opted for a chillaxed, waterfront ceremony at Matilda Bay foreshore, followed by an equally informal celebration at Little Creatures Brewery. 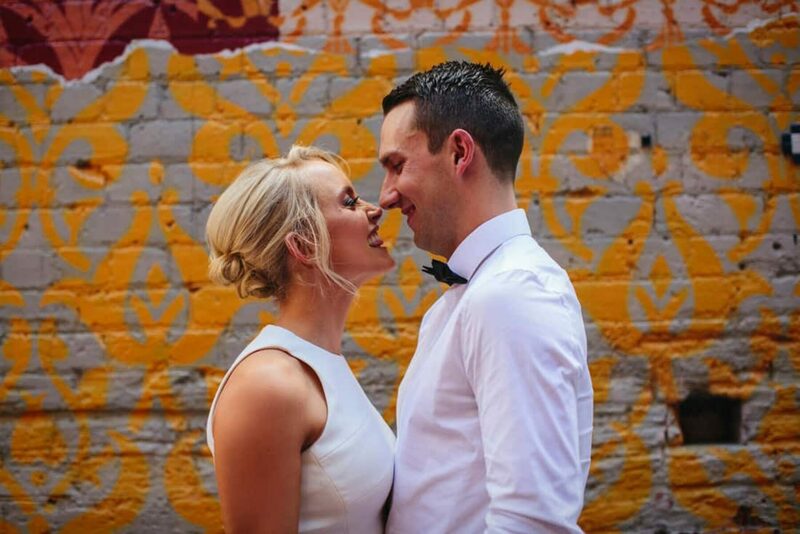 Nikki and Stephen, both gold mine workers, ‘found gold’ overseas – meeting on the island of Ios in Greece through a mutual friend. 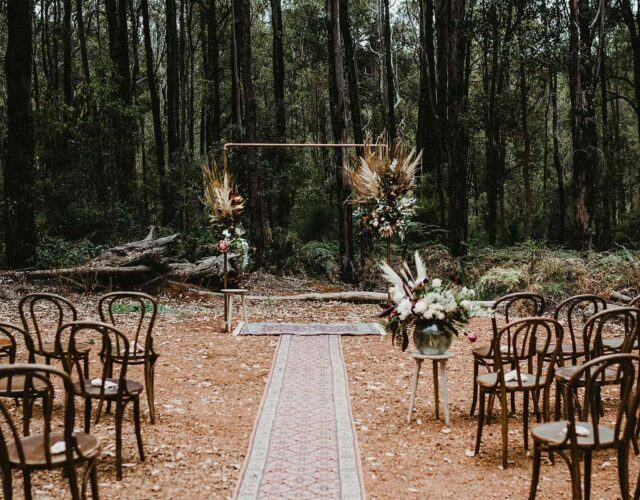 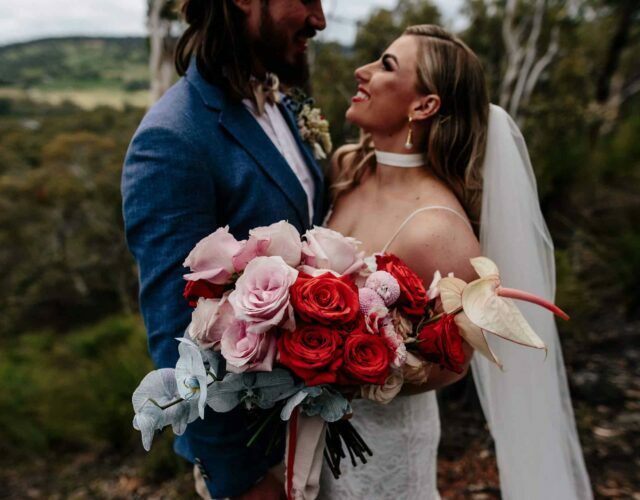 We’re starting to believe in fate after hearing their little love story – as it was there that the two travelers fell in love, after discovering that they were both from Perth and were even from the same social circle! 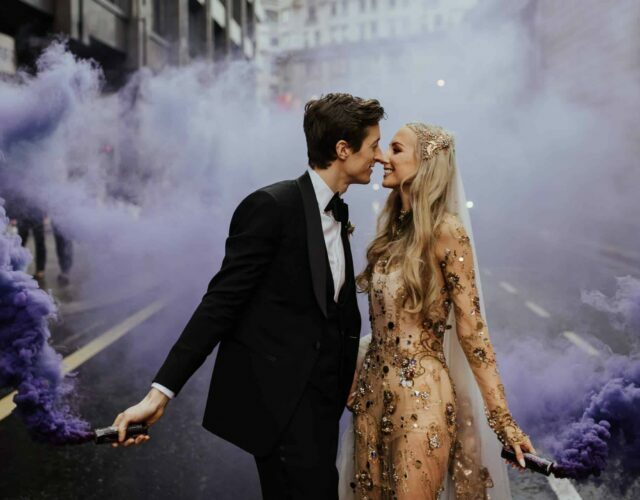 The travel-loving couple became engaged on a holiday overseas in New York City. 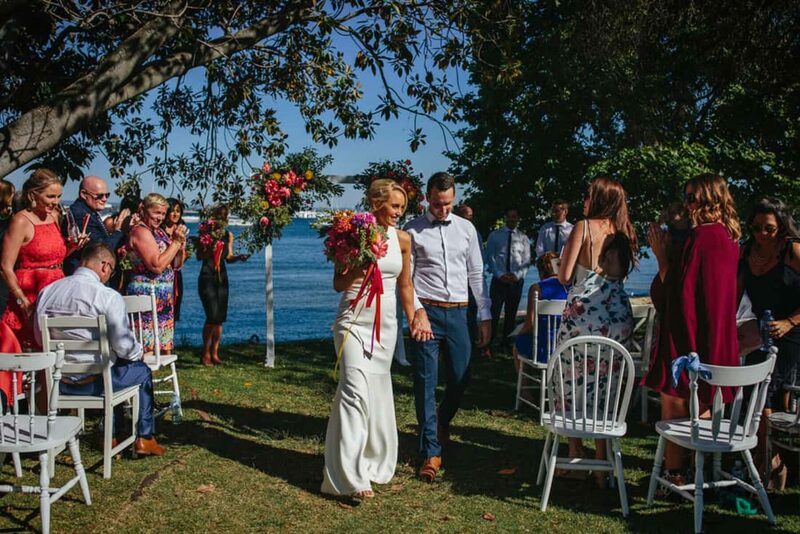 Stephen almost tipped their row boat over attempting to get on one knee, in the middle of the lake in Central Park. 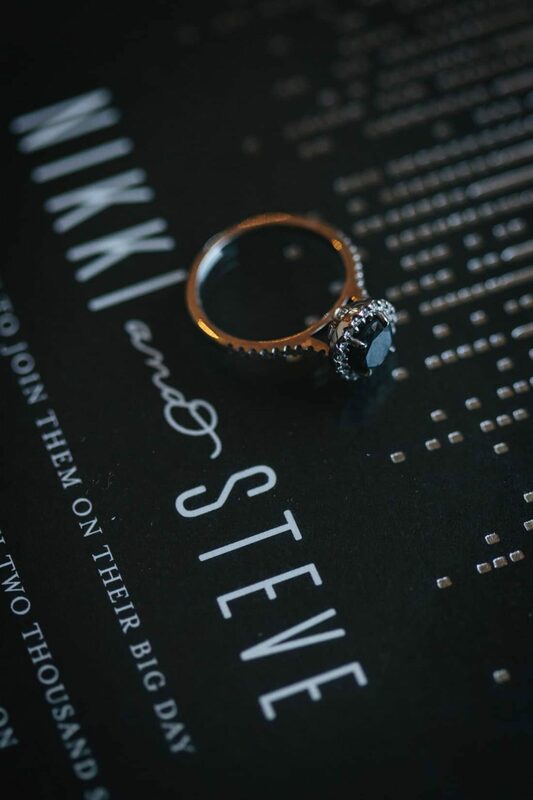 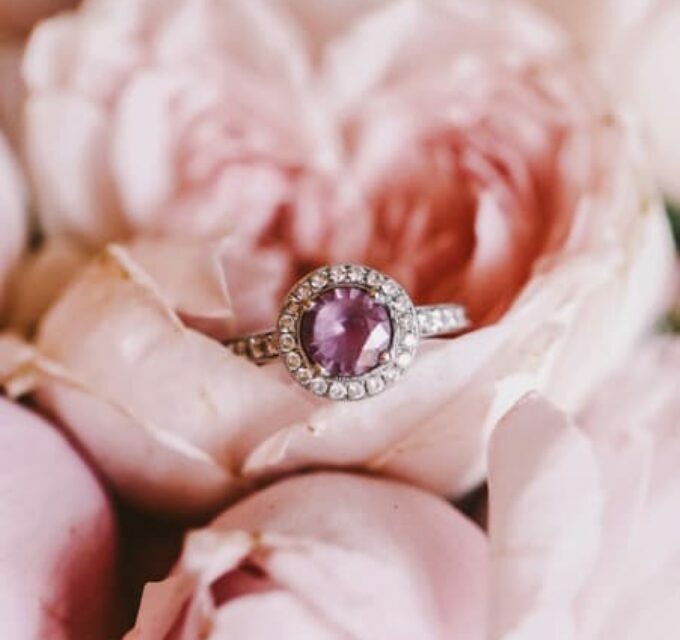 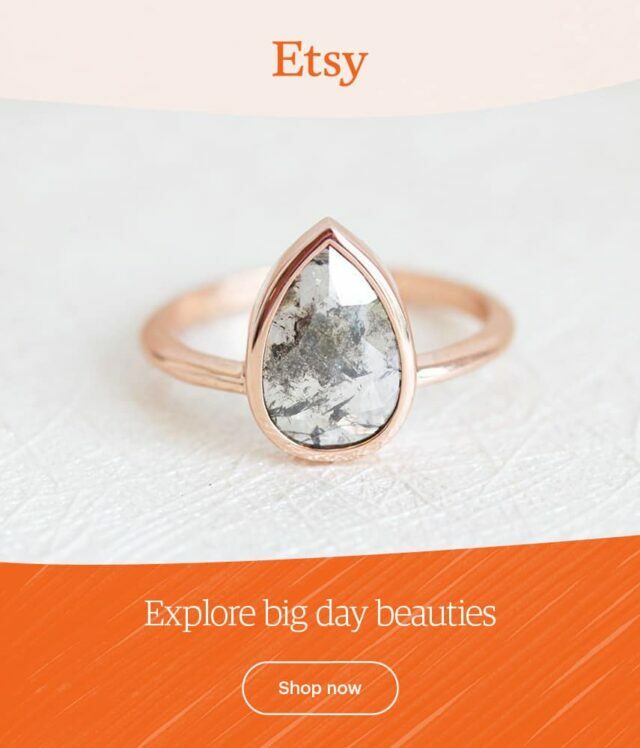 We’re loving the unique and bold design of Nikki’s engagement ring from Linneys, featuring a black diamond rosette design. 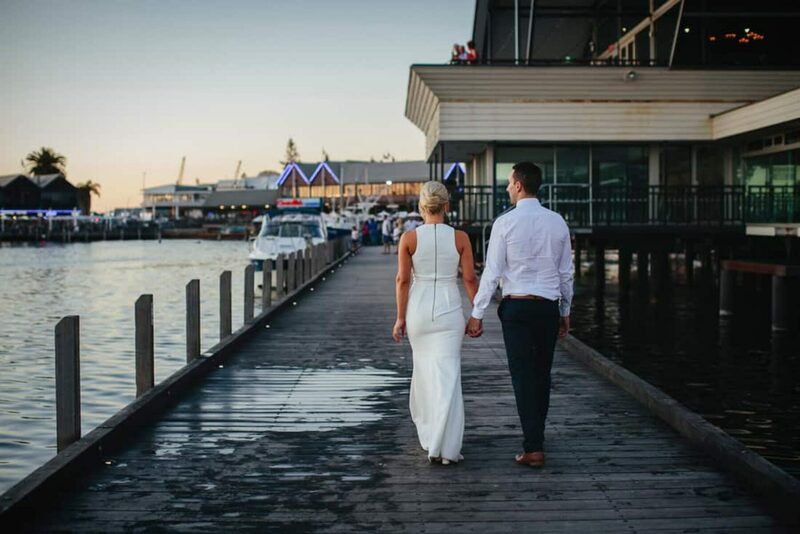 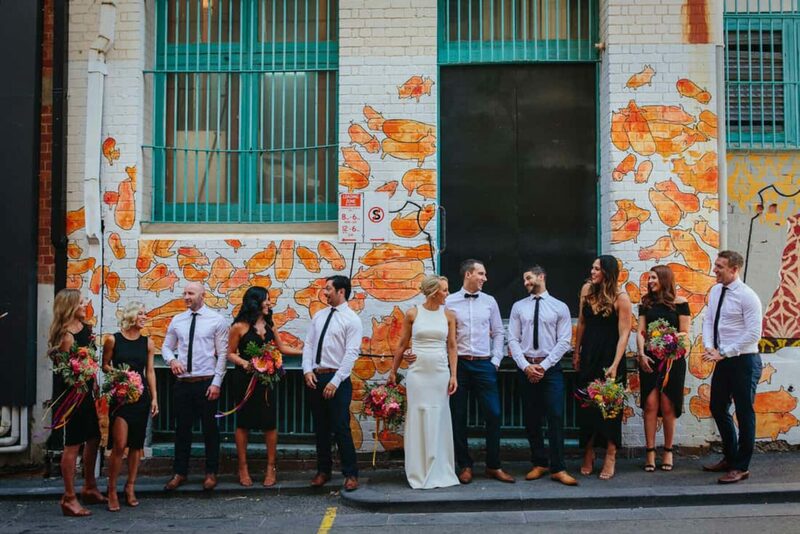 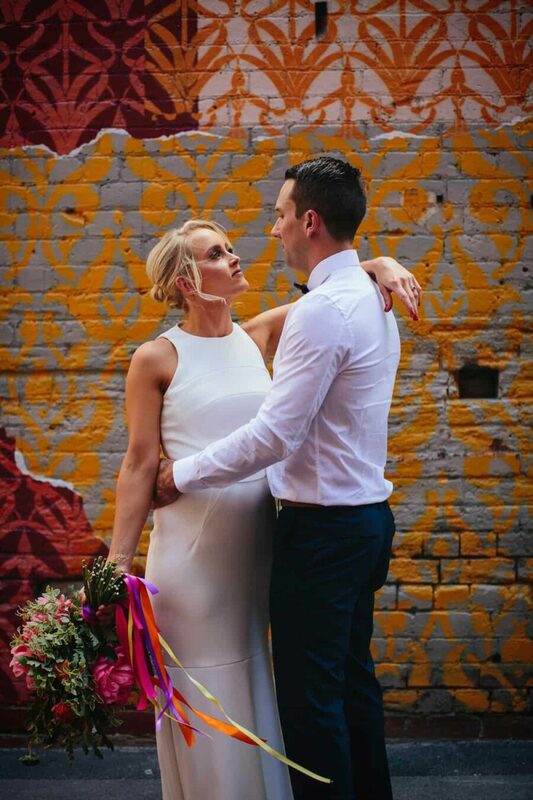 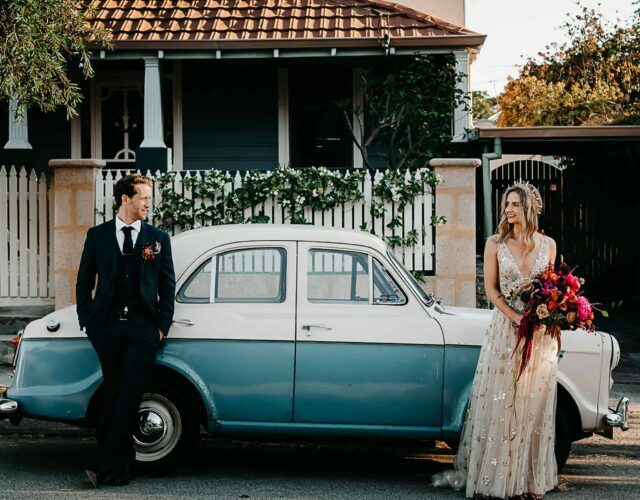 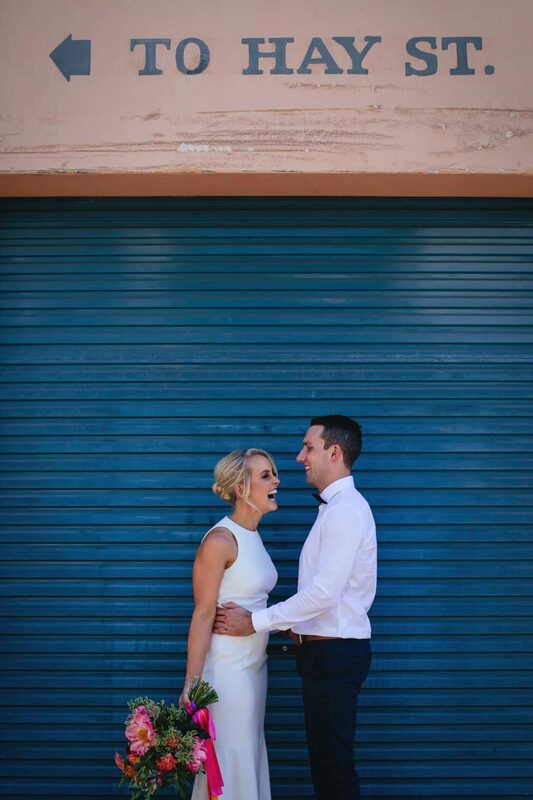 "Jodie from Merge Photography taught us both so much about what timings we should have, where we should get photos, and so many other things we were just clueless about!" 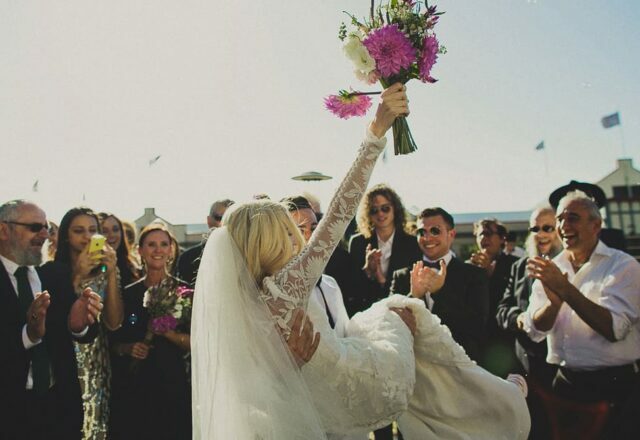 Shares Nikki. 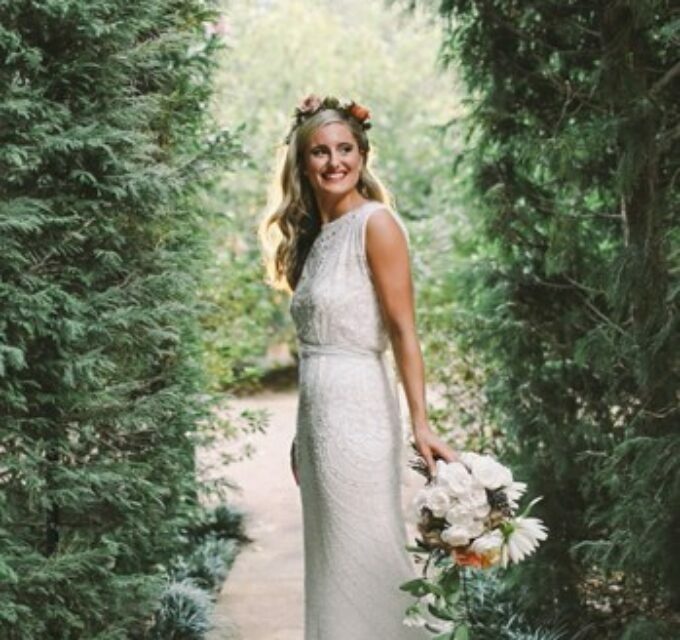 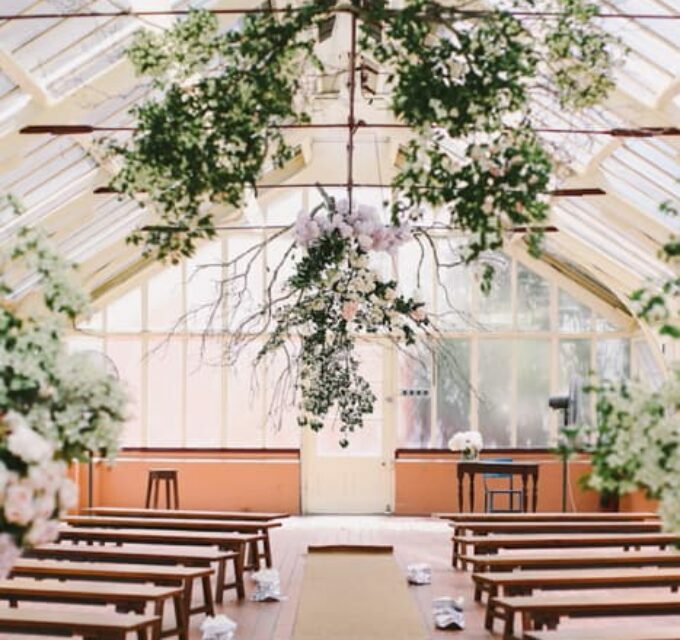 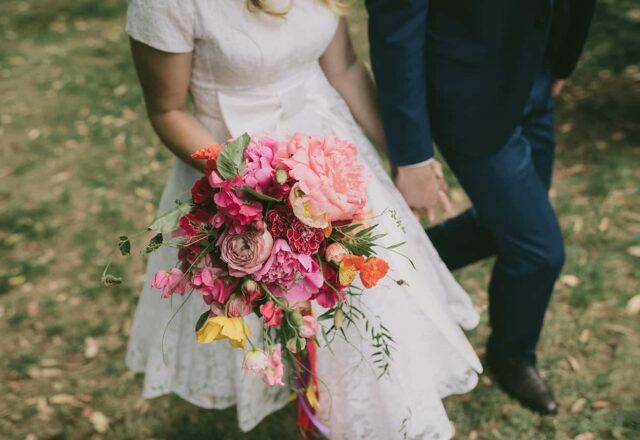 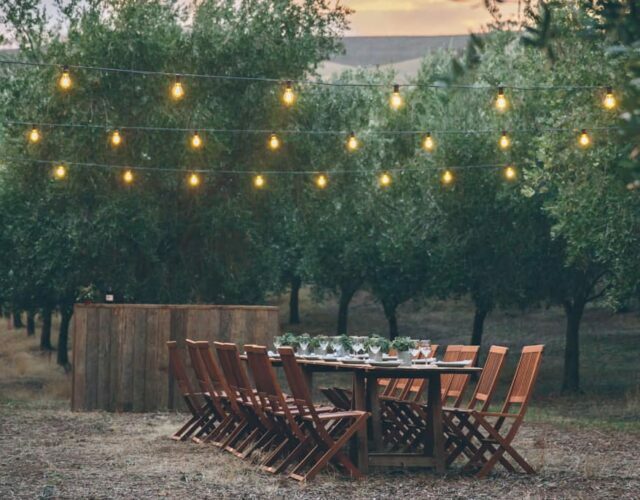 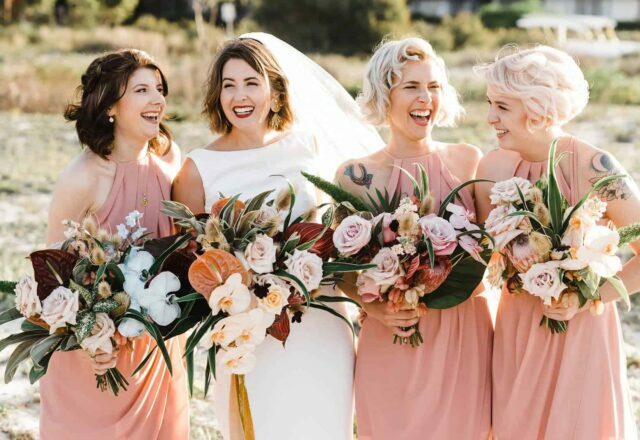 "She understood us perfectly and that we didn’t want any cheesy pics, just beautiful natural and fun shots"
Nikki and Stephen gave Rose & Bud complete creative control over the florals, stating only "the crazier and brighter – the better!". 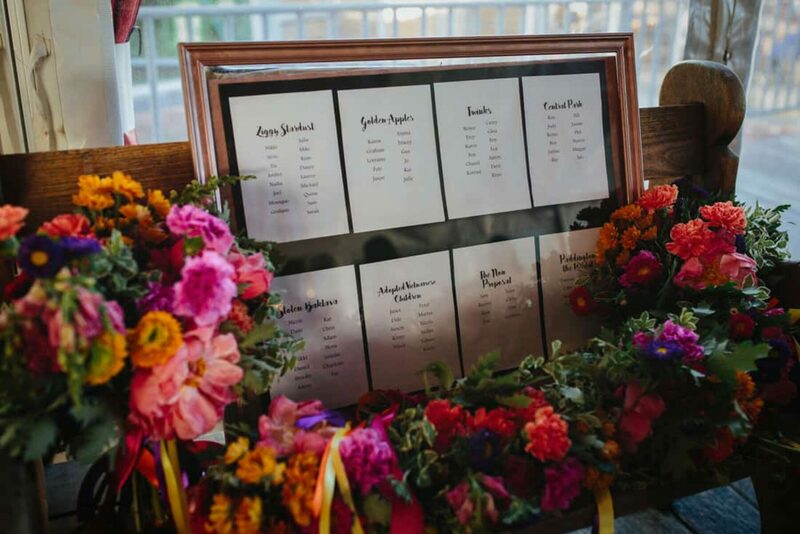 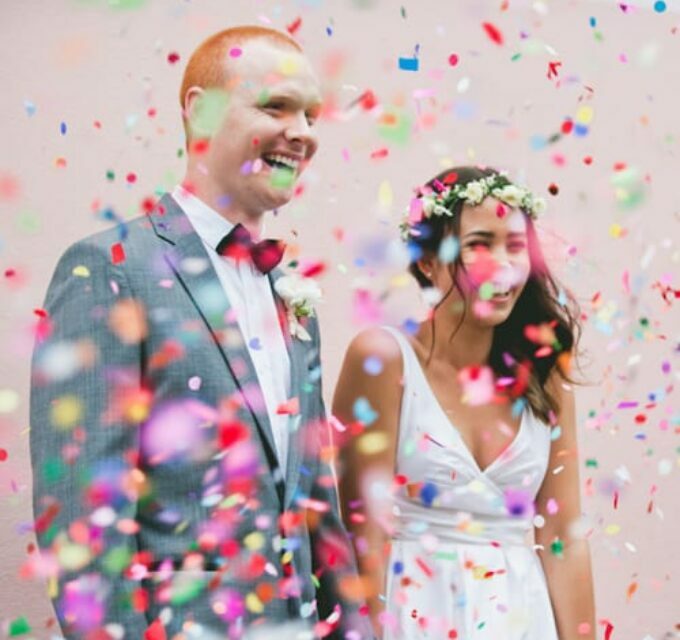 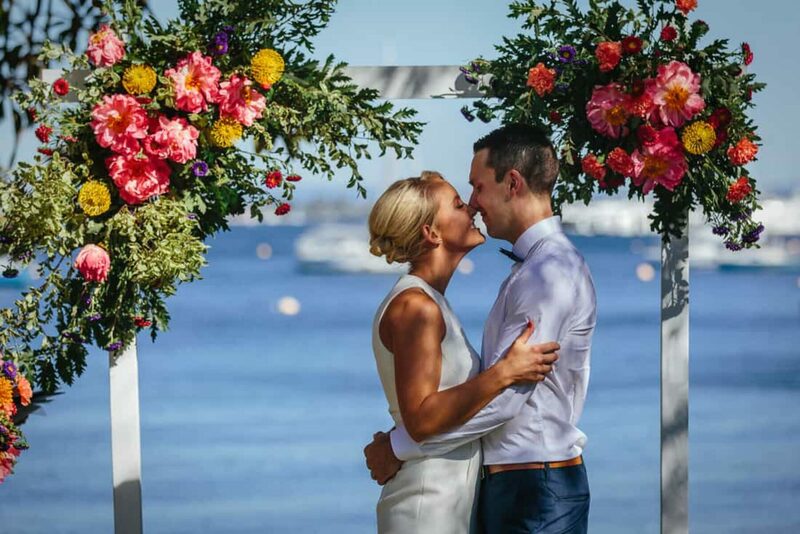 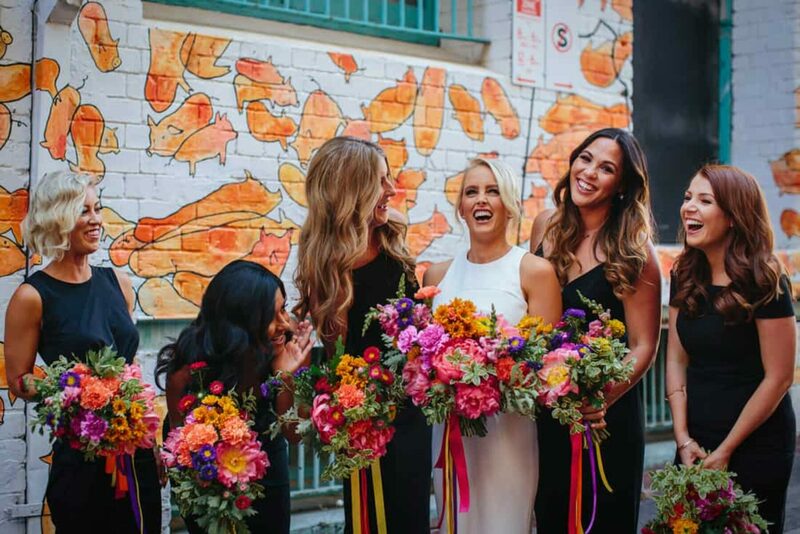 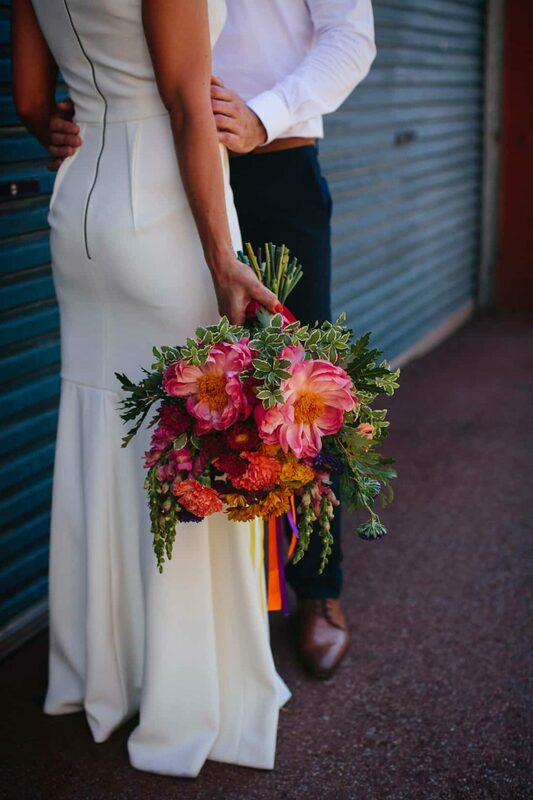 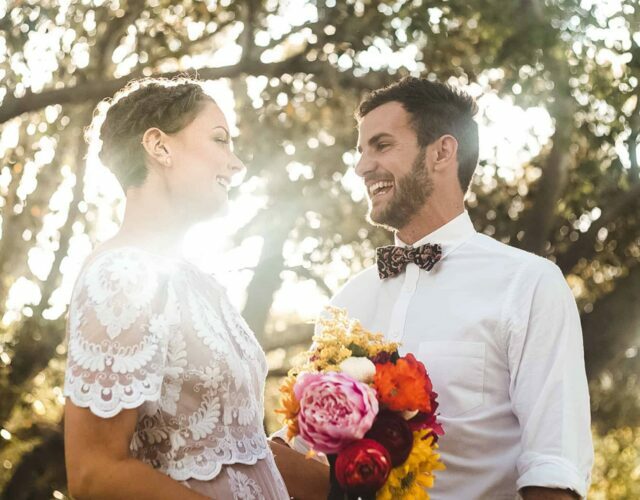 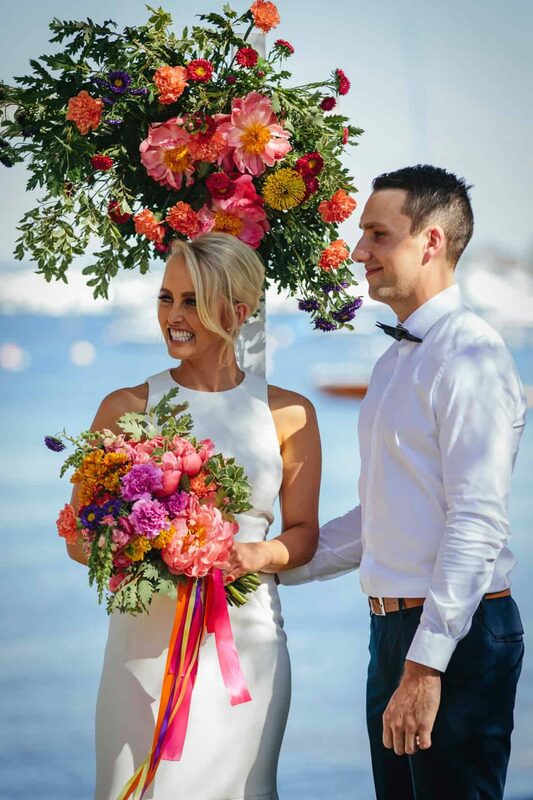 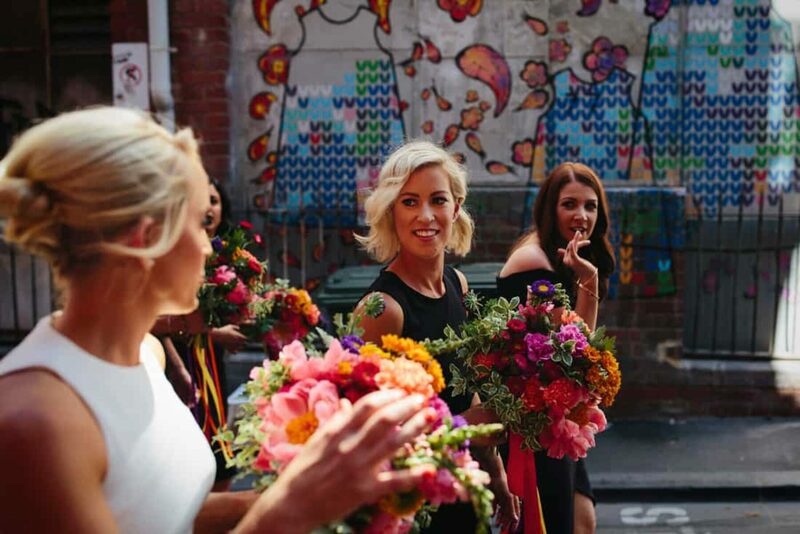 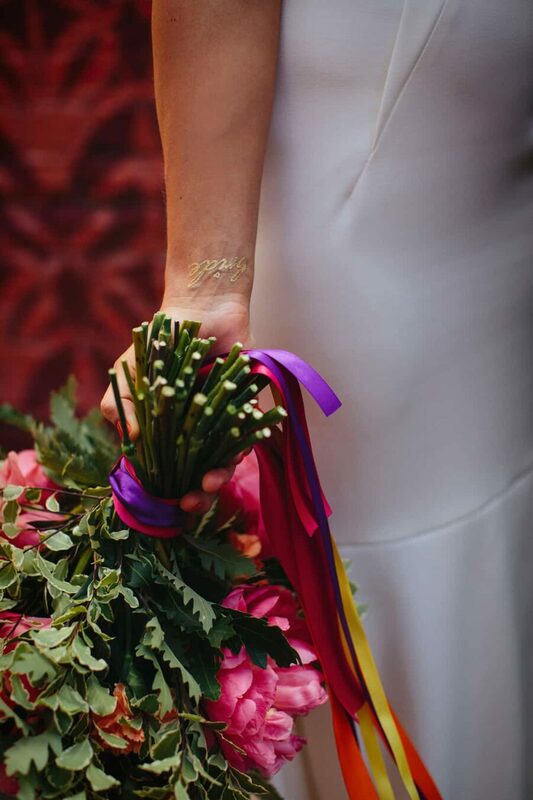 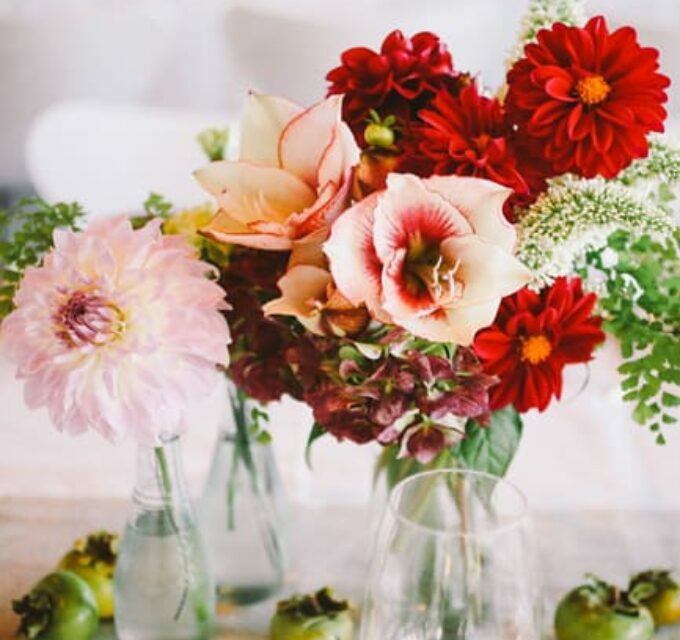 The Perth florists nailed the brief, creating vibrant bouquets dressed with colourful ribbons. 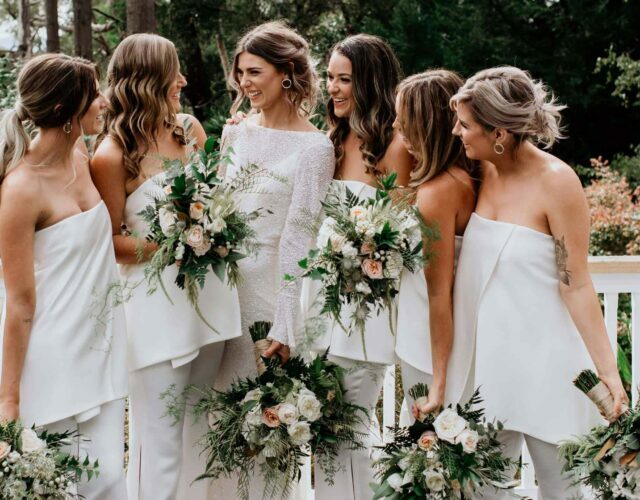 After returning 17 dresses online, Nikki took her bridesmaids' advice and made a trip to Aurelio Costarella where she found her dream dress on sale for less than $200! 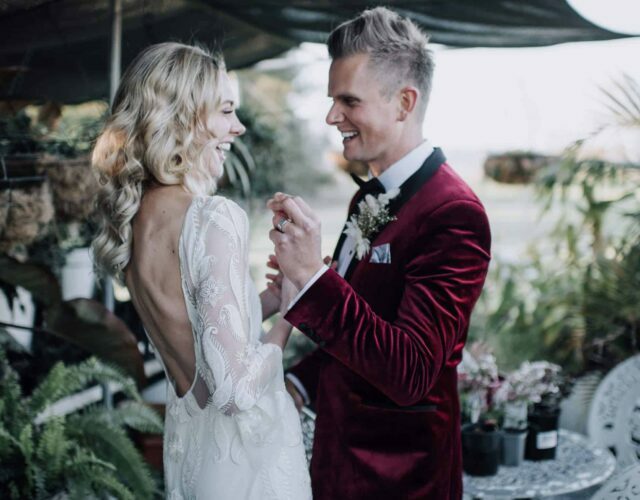 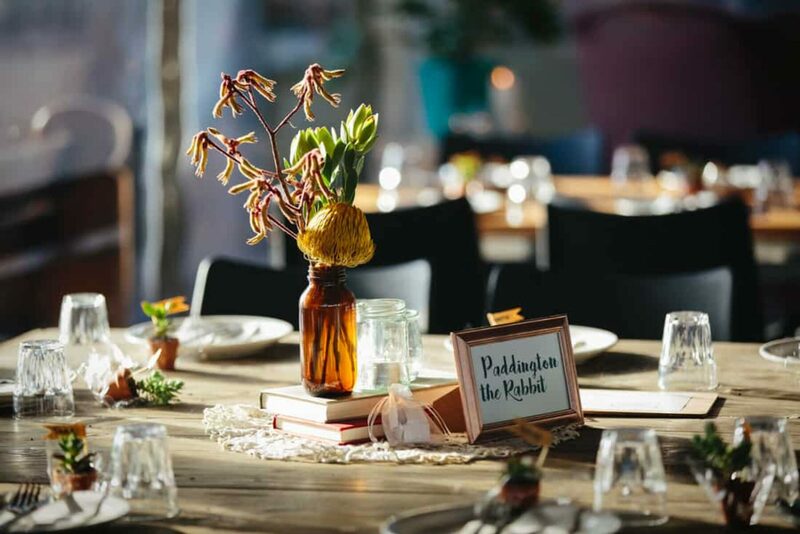 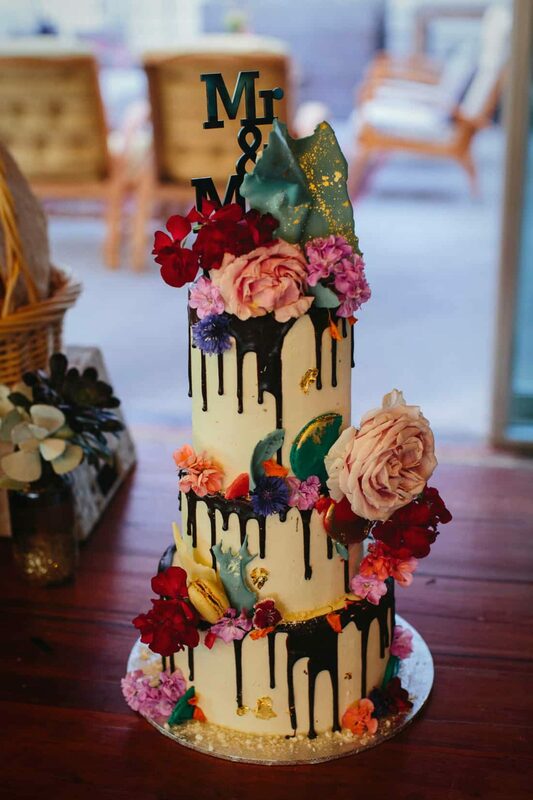 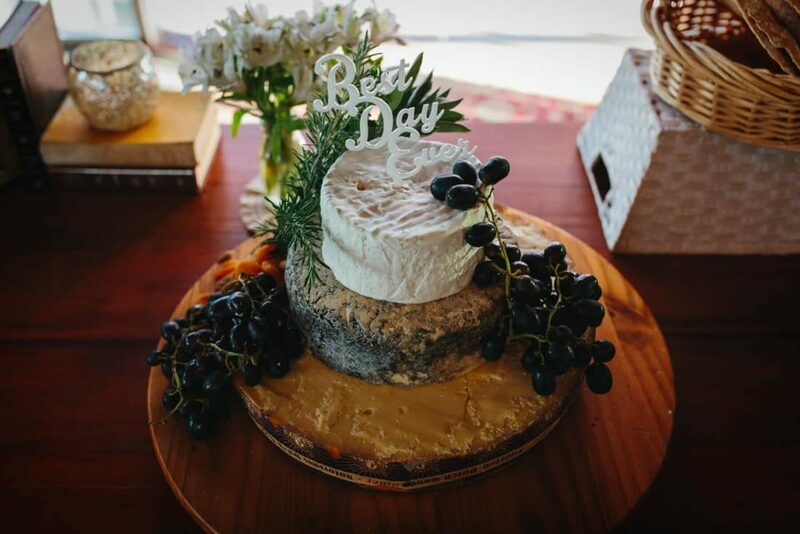 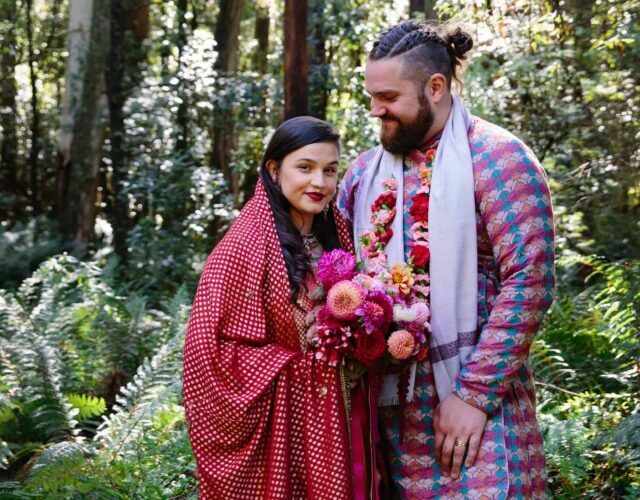 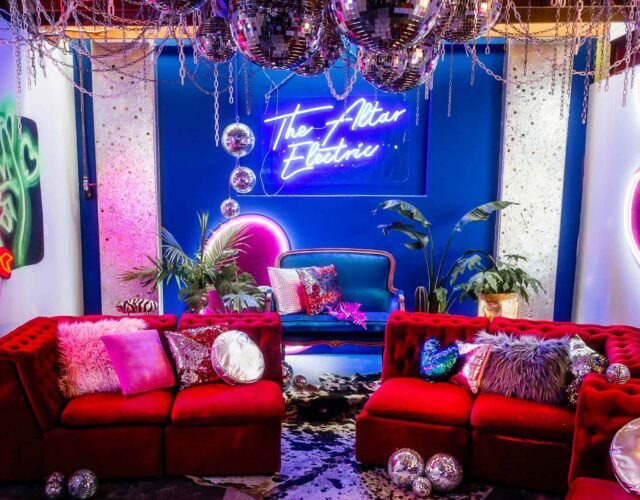 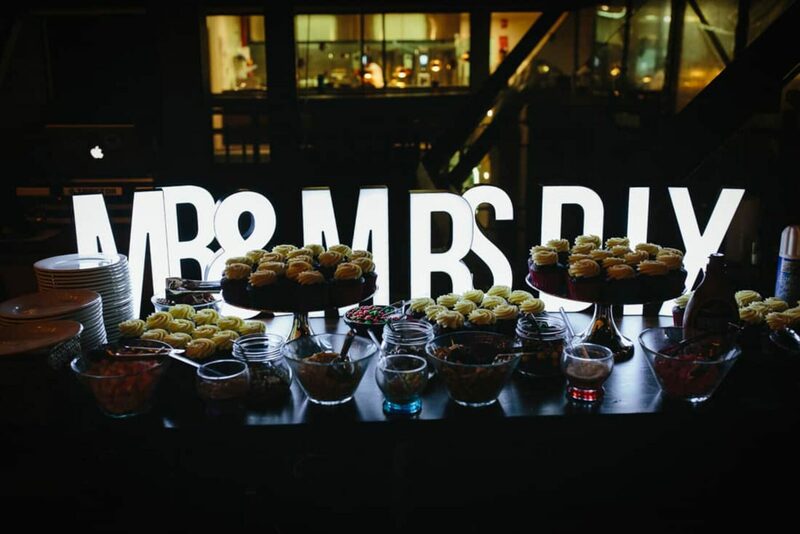 The couple’s dessert bar was a feature of their eclectic nuptials; with a colour-splashed, floral adorned cake by Sukar, a ‘pimp my cupcake’ station by Cake Box and cheese wheel cake and accompaniments by Little Creatures.